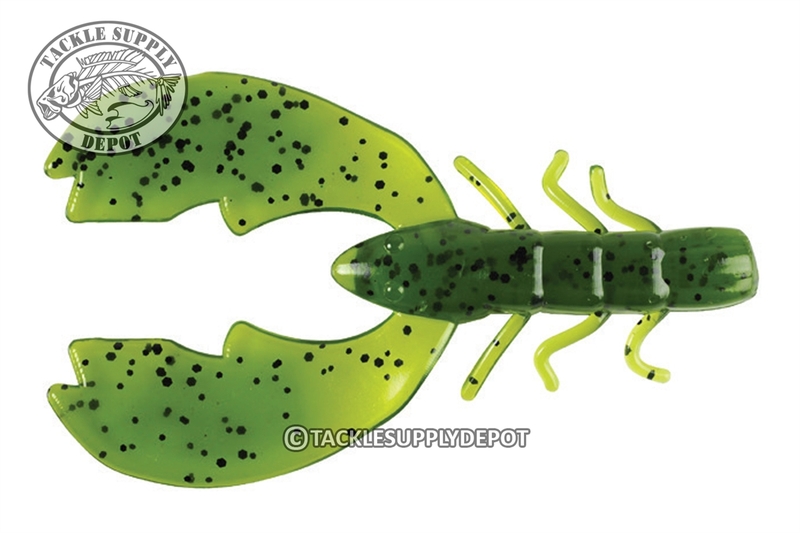 The Berkley Powerbait Chigger Craw is designed to mimic a crawfish and draw attention. The Chigger Craw's body features six legs along the body leading up to two large claws that move through the water with a fluent lifelike action. Loaded with realistic texture and the Powerbait scent whether rigged on the back of jig, flipped into heavy cover or dragged on a Carolina Rig this bait will get the bites when other craw baits just won't cut it. A productive soft plastic bait.